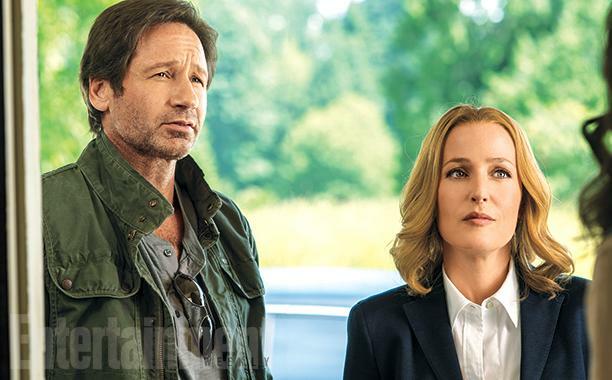 The new series of The X-Files has begun filming in Vancouver, with first-look pictures of David Duchovny and Gillian Anderson as their cult characters Fox Mulder and Dana Scully. 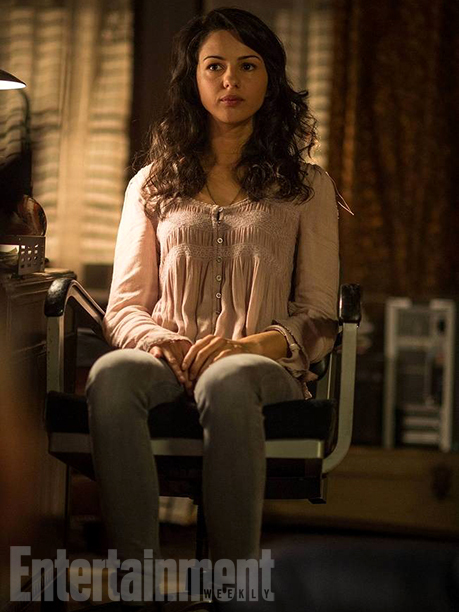 The six-part series begins with the duo investigating the curious case of a possible repeat alien abductee, Sveta (played by The Americans Annet Mahendru), at the behest of a curious ally – a talk show host (Community’s Joel McHale). 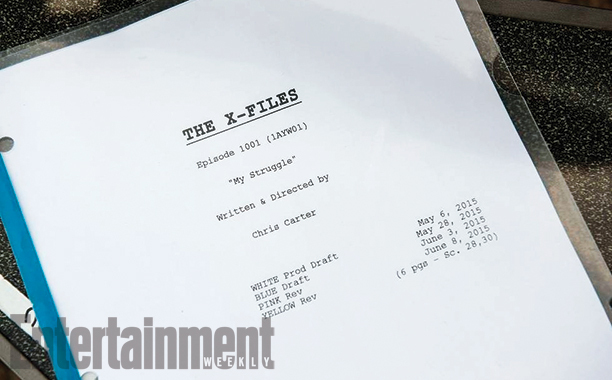 The EW images also shows creator Chris Carter working behind the scenes, and a glimpse at the first episode script. The new series will also see the return of Mitch Pileggi as FBI boss Skinner and William B. Davis as The Cigarette Smoking Man. 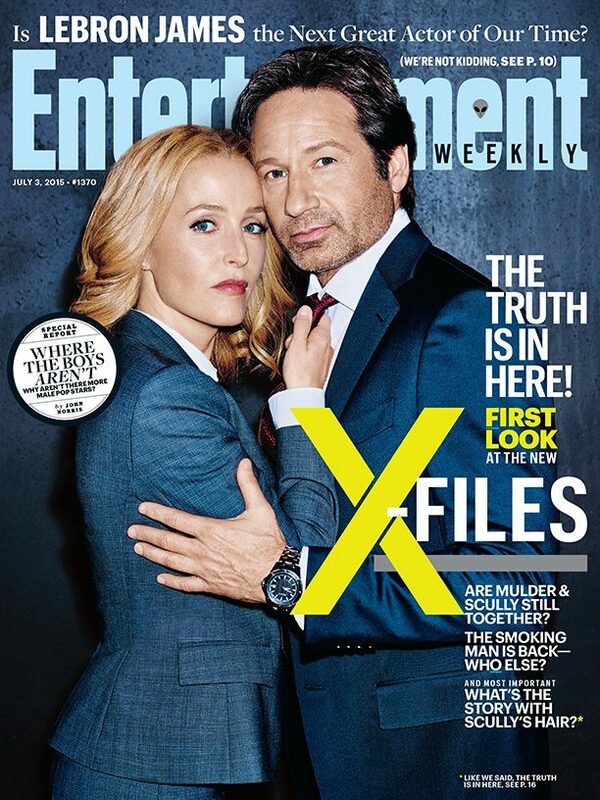 Mulder looking a bit worse for wear against Scully’s very put-together demeanor. 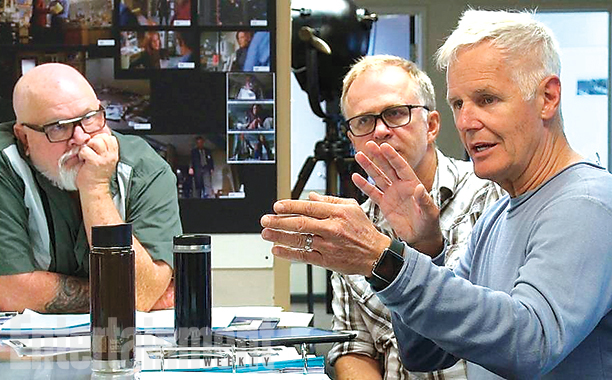 Chris Carter has returned to oversee his creation. 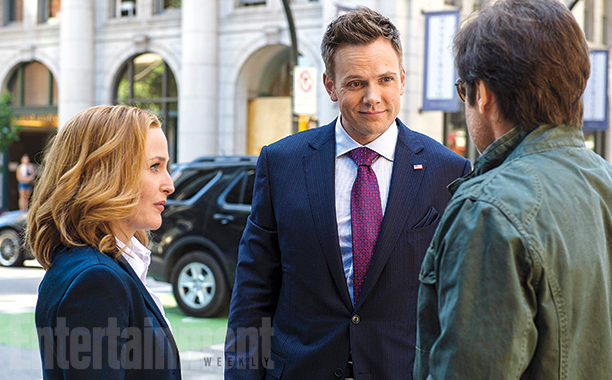 Mulder & Scully get an unexpected ally in Joel McHale.